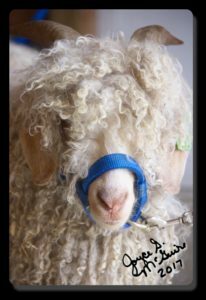 Yesterday, We helped our neighbors, the Beers, shear their alpacas; another family showed up with their angora goats. This year I swept the pads and brought in the alpacas. Megan took in Finn, she likes him a lot. The goats took three times as long as the alpacas. We had fun and hope to do it next year.